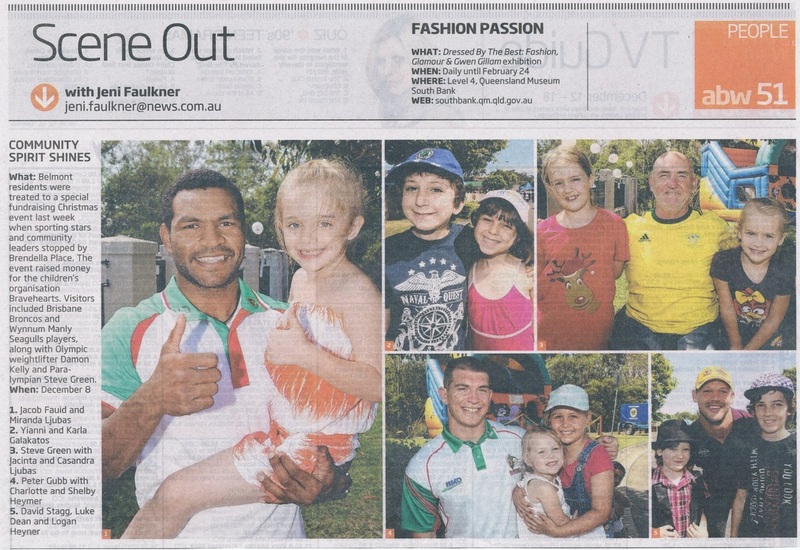 Belmont Santa Studio held an afternoon on Saturday the 8th of December 2012 where we closed off our cul-de-sac to raise money for Bravehearts' Children’s Charity. 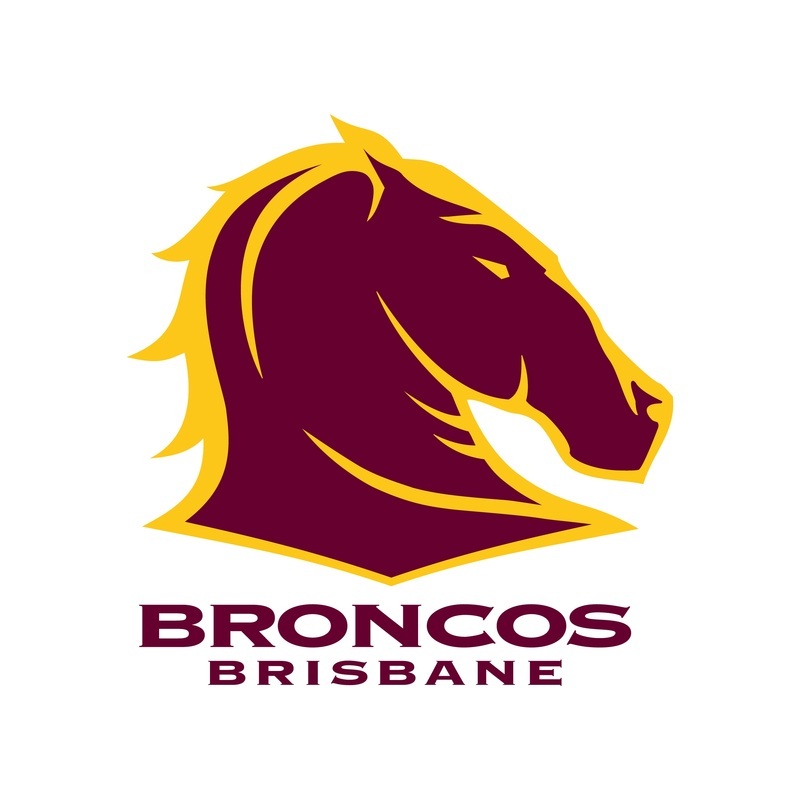 Our Invited Guests had the opportunity to meet sporting stars such as current Olympians, Para-Olympians as well as members of the Brisbane Bronco’s and Wynnum Seagulls 2012 Intrust Super Cup Premiers and see the Intrust Super Cup Premiership Trophy. Visitors were able to have their photo taken with their Sporting Hero's in Santa's Sleigh as well as ride giant bouncy castles view vintage and classic cars! We also had Councillor Ryan Murphy (Doboy Ward), Ross Vasta MP (Federal Member for Bowman) and Steve Minikin MP (member for Chatsworth) join us for the afternoon. 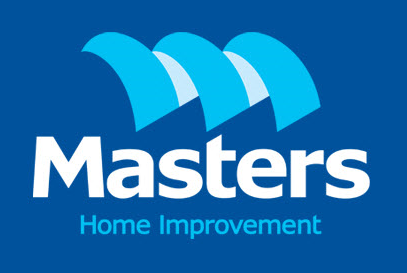 A giant community BBQ that was held by the Belmont/Tingalpa Lions Club and one lucky family won a giant children's cubbyhouse that was proudly donated by Masters Home Improvements Tingalpa Store. 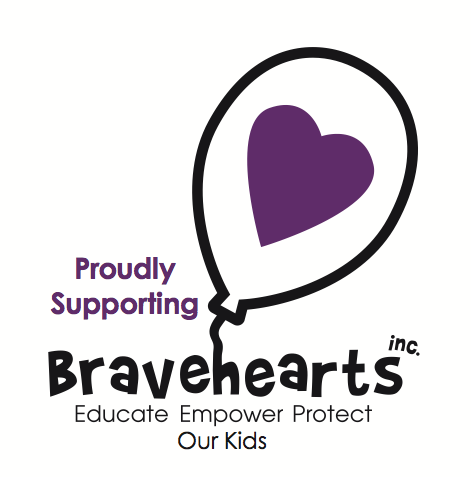 The afternoon was a great success helping us raise much needed money for Bravehearts' Children's Charity and putting a smile on all of the kids and adults faces who attended. 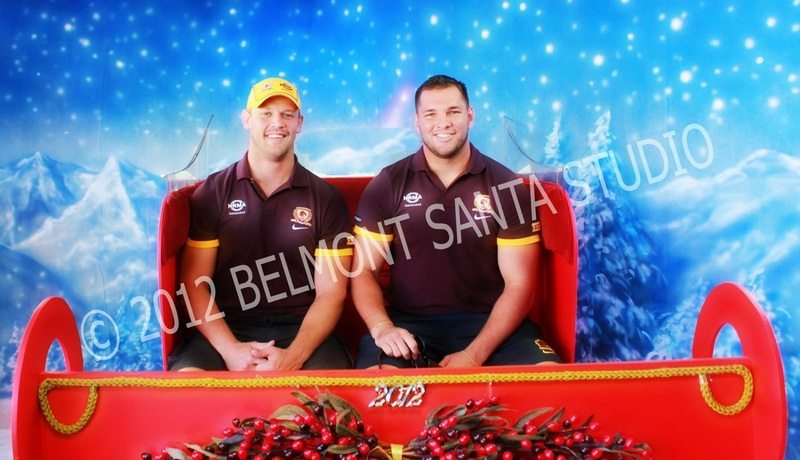 Brisbane Bronco's Players - David Stagg & Mitchell Dodds in Santa's Sleigh! 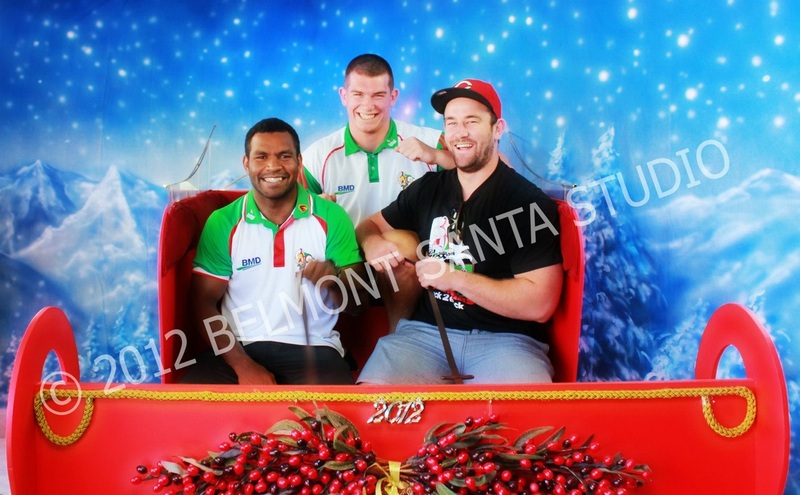 Wynnum Seagulls Players - Jacob Fauid, Peter Gubb and Ben Shea in Santa's Sleigh! 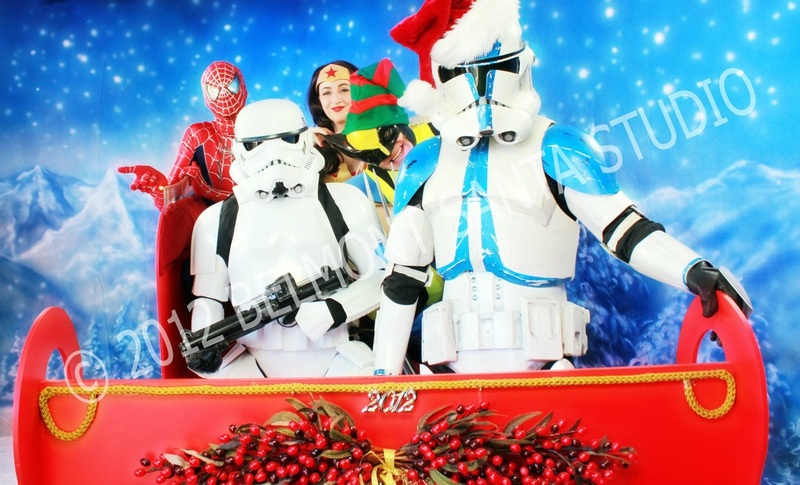 We even had Super hero's drop by - Superman, Wonderwoman, Wolverine and Stormtroopers in Santa's Sleigh!